In Paterson (2016), director Jim Jarmusch mixes the right amount of quiet humor, the mundane, and what can only be described as serendipitous moments in a folk hero’s journey. 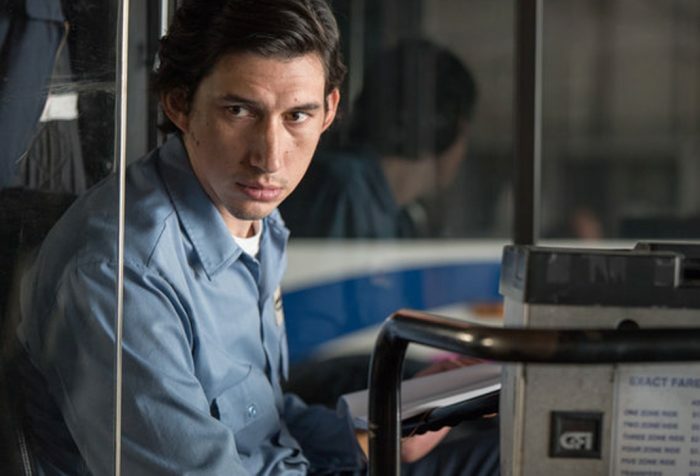 We follow Paterson, played by Adam Driver, in a wonderful performance as a poet who moonlights as a bus driver. From the photos on the dresser we know Paterson is a former marine and from his age, we know that he must have recently rejoined civilian life. Paterson’s tone is reflected in Paterson’s character: quiet, calm, with an infinite supply of patience. The film plays with the way we are all victims of time, waiting for our daily routines to be interrupted, trying to fill our time with experiences and things so as not to feel the unavoidable spinning of the clock. 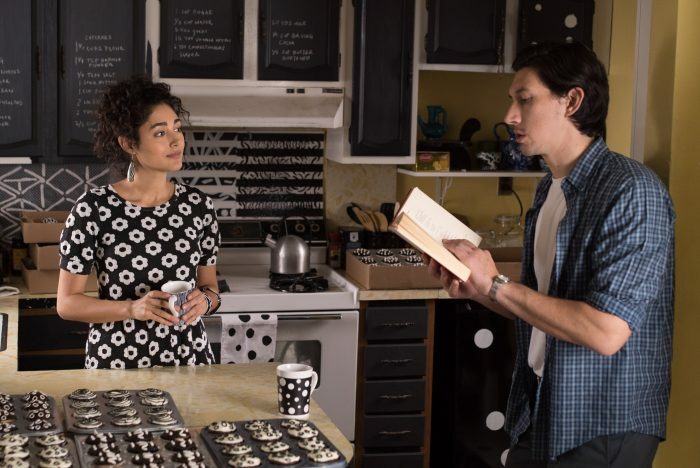 Paterson embraces that repetitive pattern: our main character gets up early every day, eats the same breakfast, wears the same clothes, walks down the same block, drives the same bus, and the universe constantly tries to challenge his ordinariness with an impulsive wife Laura (Golshifteh Farahani), a heartbroken couple he observes from afar, and even his bus breaking down. The heart of the film is its unique characters: the bright and unique Laura, the patrons at the bar Paterson frequents, and the snippets of conversations he hears from different pairs of riders on the bus. The film is the antithesis of thrilling or sensational. Not much happens and that’s the point, but when Paterson shares his most intimate poetry—his thoughts appearing on screen as he calmly narrates in those moments—life is made extraordinary in its ordinariness. Previous articleWhy are they making Avatar Sequels?